Robert Sell succeeds Ed Ahart as Chair of the Board of Trustees. (Photo Courtesy of Lafayette Communications). 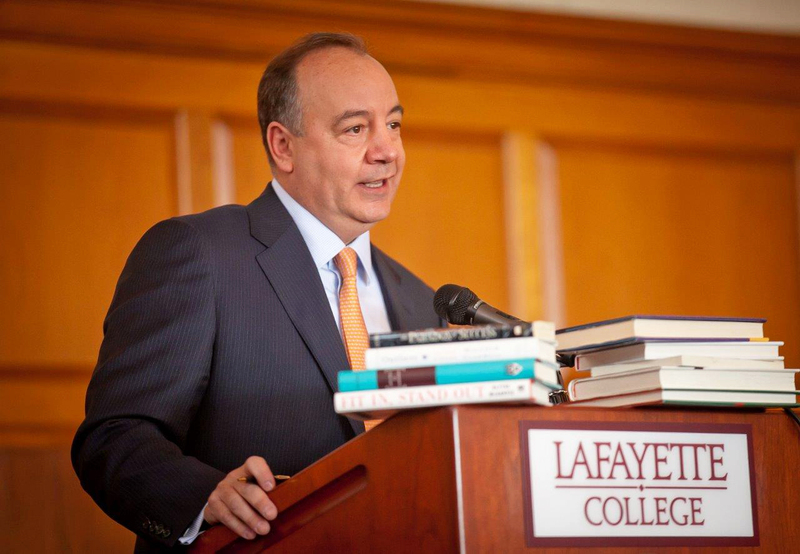 Newly elected chair of the Board of Trustees Robert Sell ’84 was a Lafayette Leopard from the start. 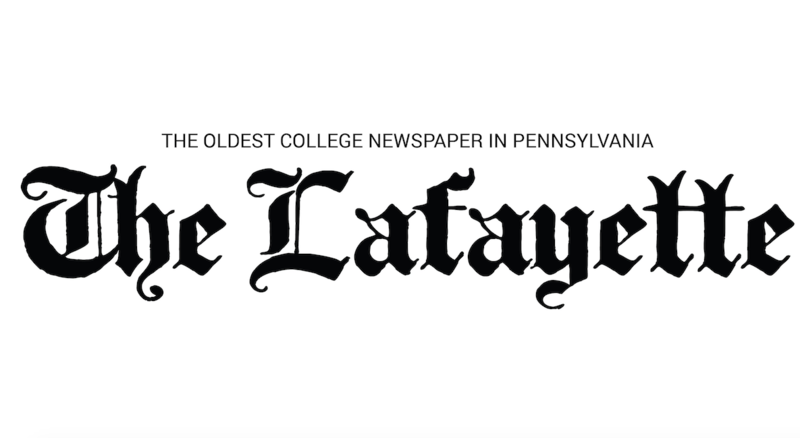 With his father having graduated from the college in 1960, Sell attended his first Lafayette-Lehigh rivalry game at the ripe age of 10 months old and never looked back. Having a far-reaching memory of the college and deep knowledge of its workings, Sell takes the helm of the board and looks to lead it with confidence and flexibility into an era of change for the college. Sell succeeds Ed Ahart ’69, who remains on the board, but stepped down from the chair position this summer after eight years in the role. As an economics major with a concentration in computer science, Sell’s lifelong career began with an entry-level job he got through Lafayette’s then career placement office. Accenture, the company from which he just retired in August after 34 years, was originally part of that first company. Sell worked as the group chief executive of Accenture’s Communications, Media & Technology operating group, and it was a job which afforded him exposure to different cultures and diverse world views through travel. Sell has had a wide range of experiences at Lafayette, as well. His previous roles at the college have included President of the Maroon Club, President of the Alumni Association, Board Associate, Trustee and Vice Chair of the Board of Trustees. A trustee since 2006, Sell was on the board when the “strategic plan” of the college to expand and become need-blind was originally hatched. He said the “rudiments” of the strategy began under previous college president Dan Weiss and came to a “formalization” under President Alison Byerly in February 2016. Sell served on the search committees which selected both of these presidents. Sell said his experience as a consultant with Accenture helped him to understand the complications that often come along with a strategy such as Lafayette’s. The expansion has met some obstacles along the way to fruition, such as pushback from what the college has deemed a small group of College Hill residents. The zoning changes needed for the planned dormitory buildings were approved by the city council, but residents have sued the city over those changes. Whether the outcome of this suit will alter the college’s plans is yet to be known. Sell said that the college has tried to prepare itself for the often unforeseen issues that come with strategic plans. The appropriate role of the board is something Sell sees as a steward to the college. He recognizes the balance that must be had in the model of shared governance between the administration, faculty and board. “It’s not like a business,” he added, saying that the shared governance model is something unique to colleges. As the college grows, Sell said he expects the board to grow more diverse in many ways: in terms of gender, vocation, geographic diversity, ethnicity, professional background and more. The breadth of experiences and perspectives needed on the board will necessitate this diversity. Of the 34 current board members, 11 are women, and five are either African-American or Hispanic. Sell has dealt with more internal aspects of campus, as well as the college’s big picture of expansion. Having served on the student life committee, Sell was its chair when the current process to bring Greek life organizations back to campus was formed. He emphasized that the process is student-driven, which in turn allows it to respond to student demand for fraternities and sororities. Sell himself was not a member of Greek life while at Lafayette. He originally pledged Delta Kappa Epsilon, but ultimately had to drop out due to an unspecified family event. When Sell is on campus, he said he likes to retreat to some quiet places such as the “nice, comfortable chair in the back right corner” of Kirby Library, or the third floor study room of Kirby House. However, on football game days, he said it’s easy to find him at the tailgate he usually hosts. Paper Playlist: When’s Fall Break?